The Norwegian Cancer Genomics Consortium participates in international study of gene variants predisposing for cancer development. 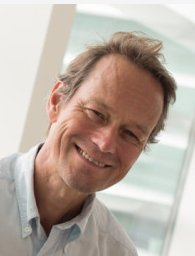 Norwegian Cancer Genomics Consortium (NCGC) consists of clinicians and specialised cancer research groups, situated at the Norwegian University Hospitals, and is led by professor Ola Myklebost (photo) from the Department of Tumor Biology at Oslo University Hospital. The NCGC participates in an international study of gene variants predisposing for cancer development. Findings from the study has recently been published in Lancet Oncology (journal impact factor 24.69). The article - entitled "Monogenic and polygenic determinants of sarcoma risk: an international genetic study" has also got an editorial comment: "Are sarcomas hereditary?". The Norwegian Cancer Genomics Consortium (NCGC) is a large national research collbaoration, which has set up an analysis platform for tumour profiling by next generation sequencing. Nine cancer types are studied, of which sarcomas, mesenchymal, or connective tissue, tumours. For sarcomas an effort to collect several annual cohorts of Norwegian patients has been initiated, and are being exome sequenced, i.e. all genes are sequenced in blood and tumour. The International Sarcoma Kindred Study (ISKS) is investigating whether germline variants are involved in sarcoma development, and has focussed on 72 candidate genes to simplfy analysis and save money. Their first study was coming to completion as ours started, and since we collaborate with the group of the ISKS leader, Dr David Thomas, we offered our first 100 ready data sets as a validation cohort. Our samples are particularly valuable, as they are population-based, and a validation is important sincde the ISKS includes patients from several continents, which may complicate genetic analysis. Our cohort, together with that of the US TCGA completely replicated the findings in the main study, which was recently published in Lance Oncology. From our side, Drs Eva W Stratford and Susanne Lorenz worked hard to provide samples and data in time for the study which already was in the final stage, and were coauthors together with the project leader, Ola Myklebost. The paper also got en editorial comment by Drs Bob Benjamin and Andrew Futreal. The Norwegian Sarcoma project is supported by the Norw Research Council, Cancer Society, and Helse Sørøst, as well as private donations. Monogenic and polygenic determinants of sarcoma risk: an international genetic study. Ballinger ML, Goode DL, Ray-Coquard I, James PA, Mitchell G, Niedermayr E, Puri A, Schiffman JD, Dite GS, Cipponi A, Maki RG, Brohl AS, Myklebost O, Stratford EW, Lorenz S, Ahn SM, Ahn JH, Kim JE, Shanley S, Beshay V, Randall RL, Judson I, Seddon B, Campbell IG, Young MA, Sarin R, Blay JY, O'Donoghue SI, Thomas DM; International Sarcoma Kindred Study. Lancet Oncol. 2016 Aug 4.